Metro Manila (CNN Philippines) — San Miguel Corporation, one of the country's biggest conglomerates, reached out to soldiers deployed in Marawi City and their families. It is working with the Armed Forces of the Philippines to help rebuild affected communities in crisis-hit Marawi City, so they can recover sustainably. SMC President and Chief Operating Officer Ramon Ang said in a statement on Sunday, the company has pledged start-up business opportunities for families of soldiers killed-in-action — a package estimated at P2 million per family. Ang expressed his condolences to the troops' families. He said the troops deserve the nation's deepest respect and gratitude, and that the best way to honor them is to provide help to their loved ones. "It's very unfortunate that we have lost many of them in this conflict. We mourn with their families and the whole nation. The best way we can honor our fallen soldiers is to try and help their loved ones have a chance at a better future," he said. Ang said that the company's San Miguel Foundation and the AFP will finalize the particulars of the assistance package and rebuild program for the affected communities. 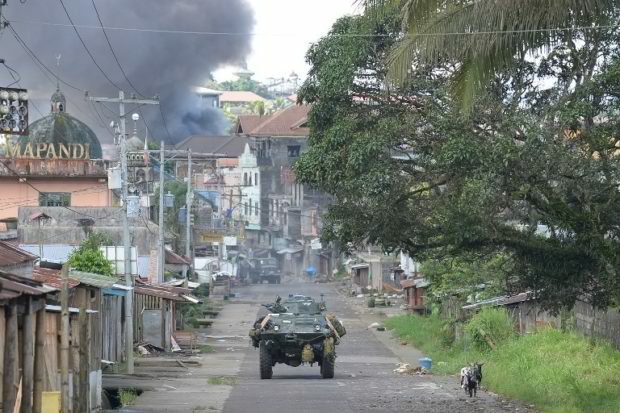 As of June 3, the military said 120 Maute fighters and 38 soldiers were killed in Marawi. A total of 181 civilians were rescued, but authorities are unsure how many more remain trapped in the city.